Our first full day at the 2018 Annual Convention, we kicked into high gear! 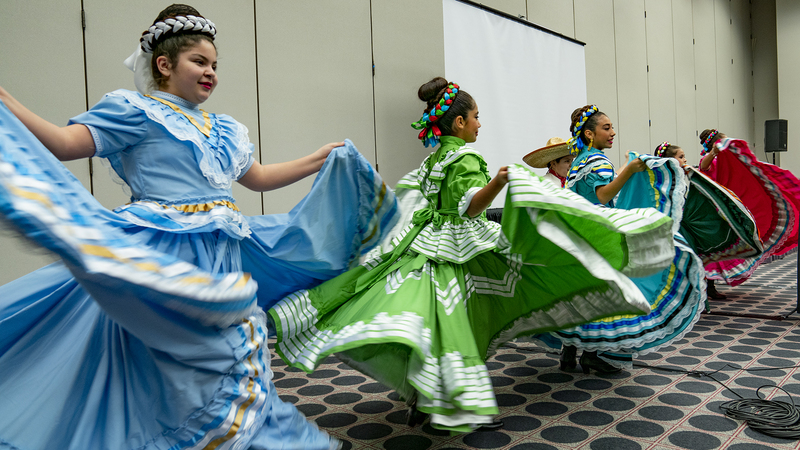 Today was packed with everything from early morning coffee and general sessions to cultural celebrations and book signings. 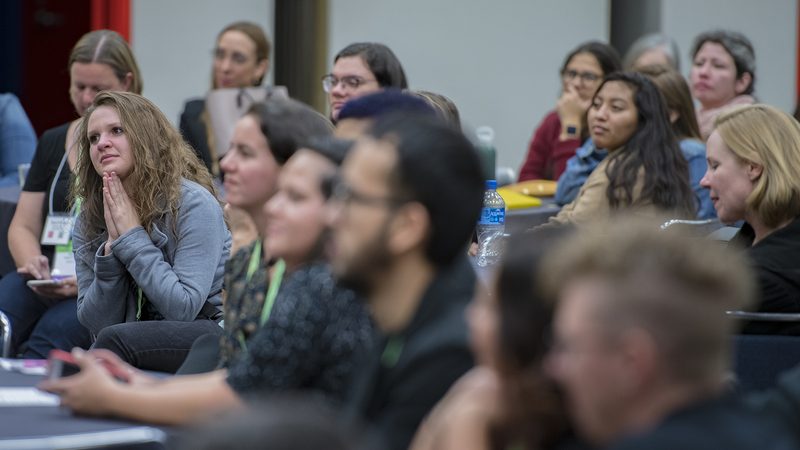 These are just some of the amazing highlights from Friday at #NCTE18—be sure to share others with us on social media! This morning, the Exhibit Hall opened in a rush! 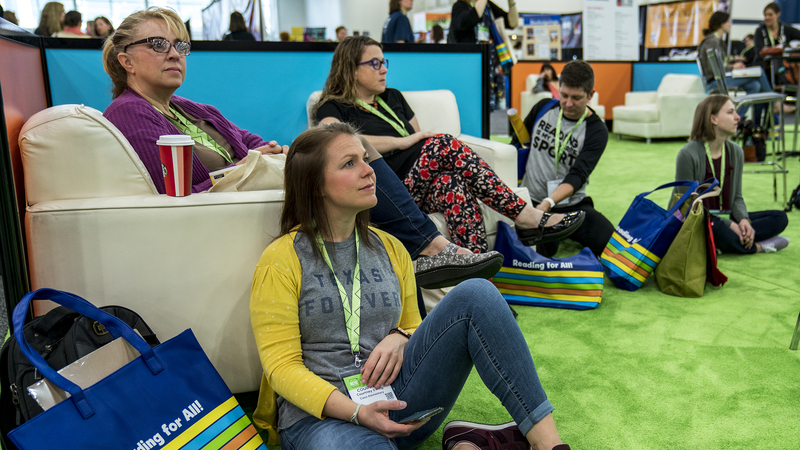 Educators were eager to learn more about the educational resources available for their classrooms and meet their favorite authors. 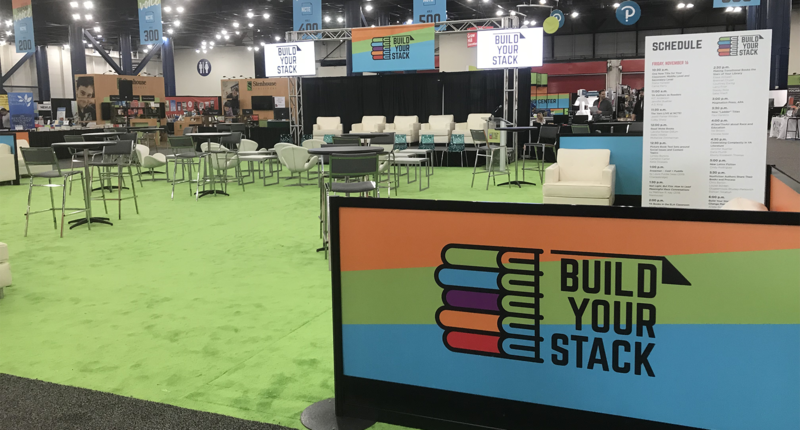 With the opening of the Exhibit Hall, we also kicked off a new initiative of this year’s Annual Convention–Build Your Stack sessions! Each 20-minute session features authors and educators talking about their favorite books and how to use them in the classroom. These session will go on all weekend! Stop by tomorrow and Sunday to #BuildYourStack with NCTE! 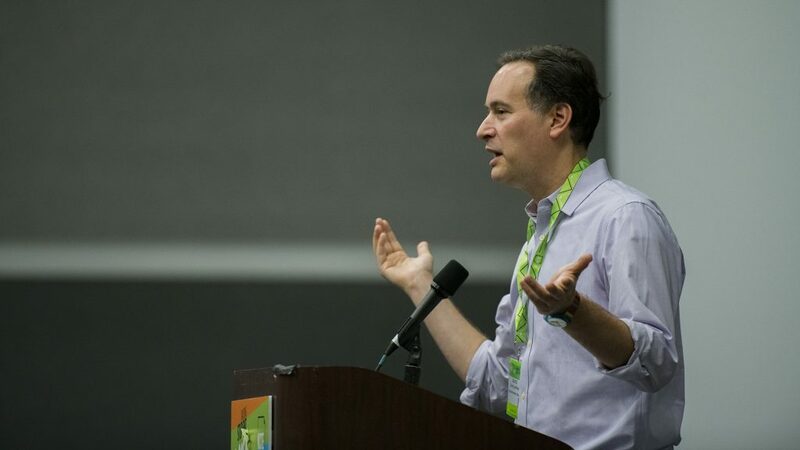 During the English Language Arts Teacher Educators luncheon, ELATE awards were presented and we heard words of inspiration from David Levithan, author of many acclaimed and bestselling YA novels, including Every Day; Another Day; Boy Meets Boy; Nick & Norah’s Infinite Playlist (with Rachel Cohn); Two Boys Kissing; and Will Grayson, Will Grayson (with John Green). 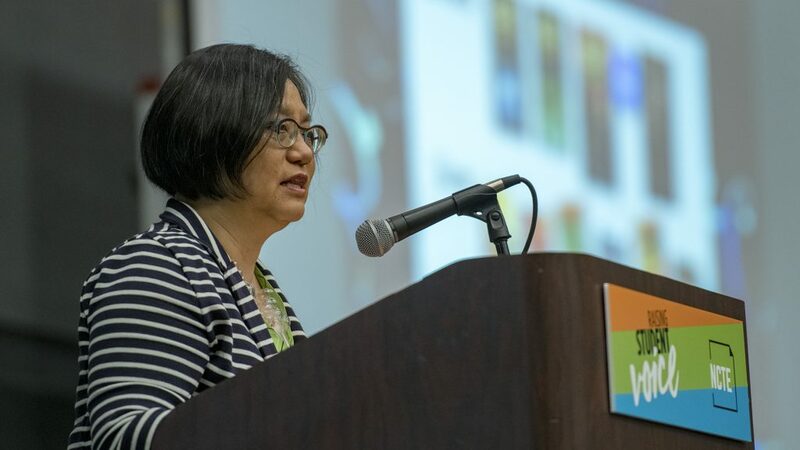 The Middle Level Section Luncheon honored middle level award winners and ended with a keynote from Linda Sue Park, author of the Newbery Medal-winning book A Single Shard and the bestseller A Long Walk to Water. 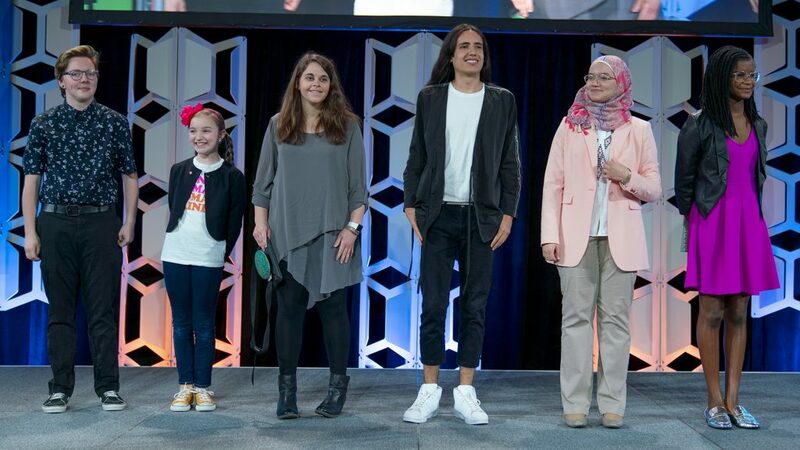 Loren Long, children’s book author and illustrator shared the process behind how he and Matt de la Peña collaborated on Love. 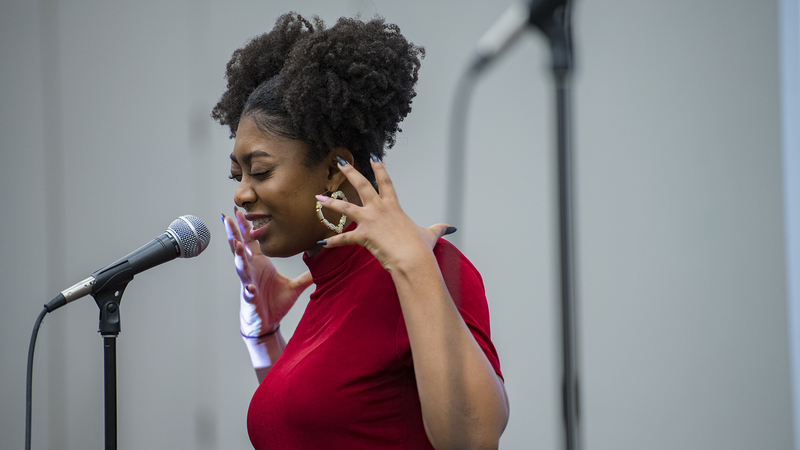 The sounds of the soul, the voices and verbs of the spoken word, and the eclectic energy of Houston highlighted an evening of culture, history, and performance, presented collectively by the Black and Latinx Caucuses. 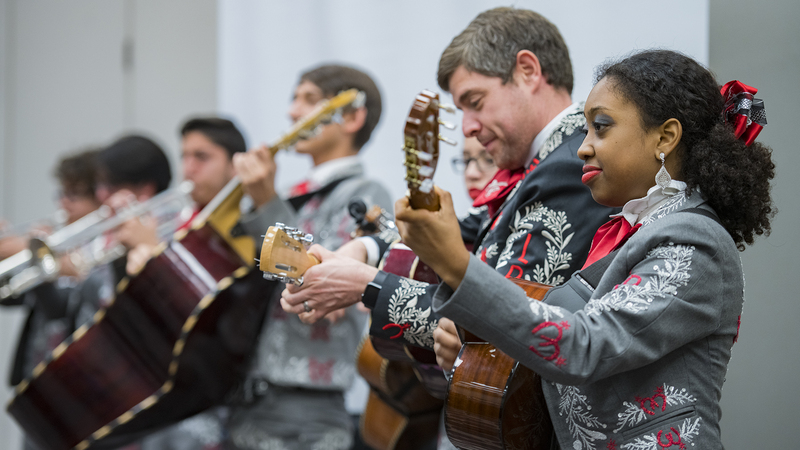 Each performance illuminated issues transcultural and representative of neo-American being, while highlighting children and stories told through themes of social justice and communities of harmony. Be sure to check back tomorrow for even more highlights from the 2018 Annual Convention! 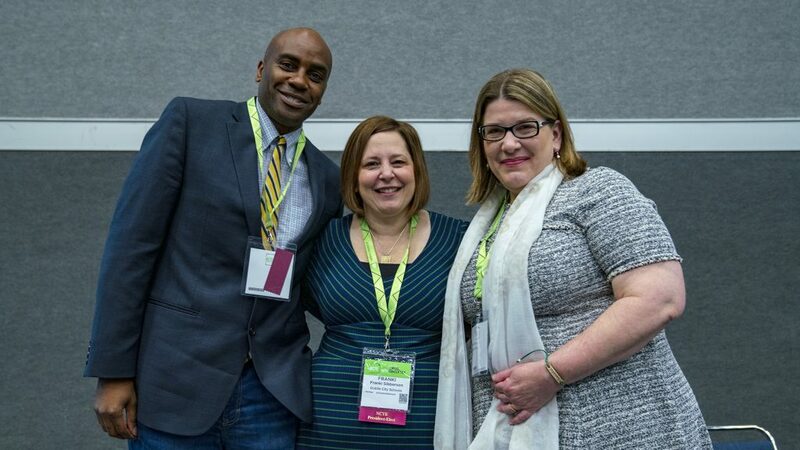 In the meantime, find us on Twitter and Instagram at #NCTE18. 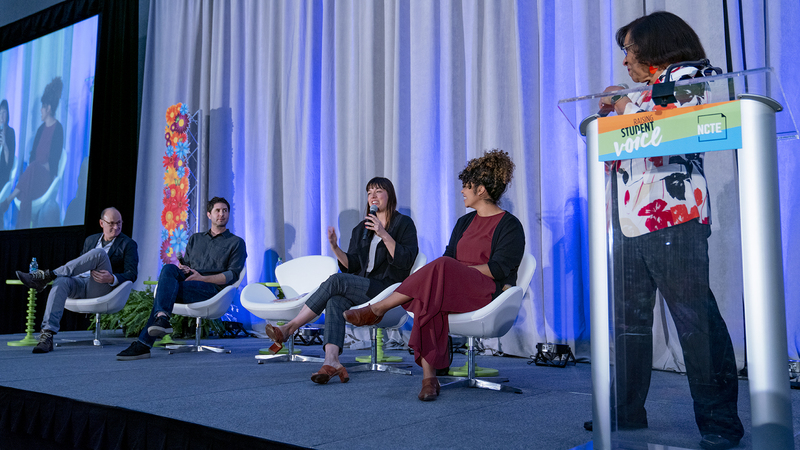 One more thing: If you’re joining us from home, be sure to tune in on Facebook tomorrow at 2:00 p.m. CT for a live announcement of the Children’s Book Awards Luncheon. We’ll be announcing the winners of the Orbis Pictus, Charlotte Huck, and Poetry for Children awards.